Are There Stroke Risk Factors that Your Loved One Can Change? 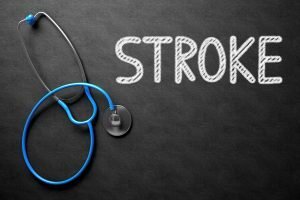 Elder Care in Middletown NJ: Are There Stroke Risk Factors that Your Loved One Can Change? In your role as a family caregiver, awareness is one of the most important tools that you can have. Being aware of the risks that your aging parent faces is critical to enabling you to devise a course of care that is right for them to help them not only manage these risks, but also to pursue the quality of life that they desire and deserve. May is National Stroke Awareness Month. This is the ideal time for you to learn more about the dangers of the fifth leading cause of death and the leading cause of long-term disability in the United States. One of the most important things that you can learn about when it comes to stroke is the risk factors that your senior might have. When considering the risk factors that your parent might face, one question that you may have is whether there are any of these risks that your parent can change or control. Fortunately, some of the most pressing risk factors can be controlled to help reduce the chances that your parent will suffer this type of medical event. Sedentary lifestyle. Not getting enough exercise greatly diminishes the ability of your parent’s body to function properly. People who do not get enough physical activity are at greater risk of diabetes, high blood pressure, high blood cholesterol, heart disease, and stroke. Integrating at least 30 minutes of physical activity into your parent’s care on most days will improve their health and reduce their risk of serious issues such as stroke. Starting elder care for your aging parent can be an exceptional way for you to help your parent achieve and maintain a higher quality of life as they age in place. An elderly home care services provider can be with your aging loved one on a schedule that is right for them, ensuring that they get all of the care, support, and assistance that they need while also making sure that you remain at the forefront of their care routine. This means that they are able to give your loved one a personalized set of services tailored to their individual needs, challenges, and limitations to help them manage these in the way that is right for them while also encouraging them to maintain as much independence, activity, and engagement as possible. If your elderly parent is at increased risk of suffering a stroke or has recently experienced a medical emergency, this care can be particularly beneficial. Through offering reminders to help your parent stay compliant with their medications, treatments, and guidelines, and helping them to make good lifestyle choices, this care can help your parent to remain healthier throughout their later years. If you or an aging loved one are considering elder care in Middletown, NJ, please contact the caring staff at Lares Home Care 888-492-3538 or 732-566-1112.